CONROE, TX – February 7, 2017 – A series of local rainwater harvesting systems installed in 2014 have been catching more than raindrops over the past few years. During the Water for Texas 2017 Conference, hosted January 23-25 by the Texas Water Development Board, the Leadership Montgomery County Class of 2014 received the All-Star Rain Catcher Award. 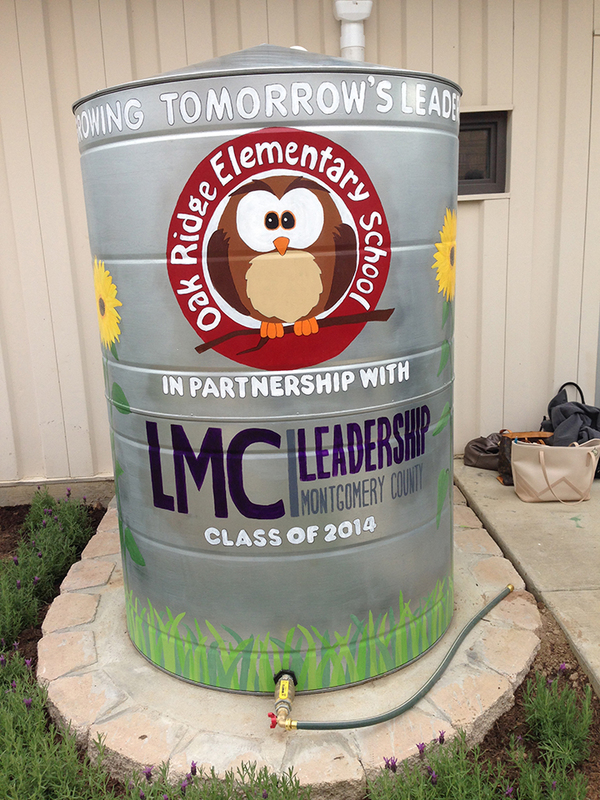 A few years prior, upon nomination by the Lone Star Groundwater Conservation District, the same LMC class had raked in TWDB’s 2014 Texas Rain Catcher Award. The All-Star Rain Catcher Award celebrates a decade of the TWDB’s Rain Catcher rainharvesting competition and recognition program. State Rep. Will Metcalf, R-Conroe, a member of the 2014 LMC class, accepted the award on behalf of his LMC peers. Kathy Turner Jones, LSGCD general manager, said bringing home the All-Star accolade is a big win for LMC alumni and Montgomery County as a whole. Still, for the same group to now receive the All-Star Rain Catcher Award, on top of the original award, is a real testament to just how far-reaching of an impact such projects, when executed well, can potentially be, Jones said. LSGCD Education / Public Awareness Coordinator James Ridgway Jr. echoed Jones’ sentiment. For more information, visit Harvesting the Rain Project at LoneStarGCD.org. The rain harvesting systems can be seen at the Bear Branch Sports Complex in The Woodlands, Oak Ridge Elementary and the North Montgomery County Community Center in Willis. The locations can use the collected water for landscape irrigation. Each location includes other educational components to shed light on the project’s conservation mission.